Vaccines can help guard pets against disease. Regular vaccinations help keep pets healthy and protected. Unlike humans, pets need annual vaccinations against a number of diseases. As the non-vaccinated dog population grows, so does the potential for disease outbreaks. Industry reports have indicated that the number of vaccine doses administered by veterinary clinics has dropped in the past few years, despite a growing pet population. Every pet should visit his or her veterinarian regularly and receive regular vaccinations in order to stay healthy. Core vaccines are generally recommended for all pets. Lifestyle vaccines are designed for pets that are at risk for certain diseases based on their daily routines. 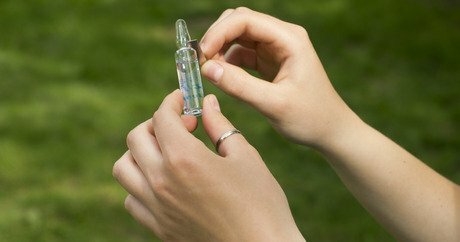 Because each pet’s lifestyle is unique, it’s important for pet owners to understand which vaccines are right for their pet. At mypet.com, pet owners can take a risk assessment to find out what diseases their pet may be at risk for and how to protect against them. A survey conducted by Brakke Consulting and the Pert Group showed that pet owners visited their veterinarian 20 percent less often in 2011 than 2007. While no one looks forward to a trip to the vet, mypet.com can help make it feel more worthwhile. They’ve got education for pet owners about what diseases their pet may be at risk for, as well as tips on what to ask their veterinarian about at their next visit. The site offers plenty of fun, too. Pet owners can upload photos of their pets to the interactive campaign map and see which clinics in their area are supporting a nationwide campaign for vaccination awareness. You can even enter a caption contest (and win a prize! ), plus watch videos of Mutt and Kitty — the campaign spokes-animals — in action on the campaign trail as they talk about ways to keep pets healthy.